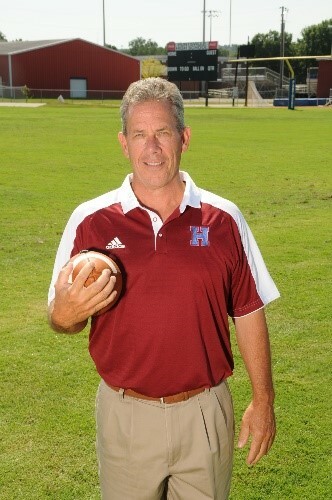 Coach Mark Fleetwood is in his 2nd year at Huntsville High. 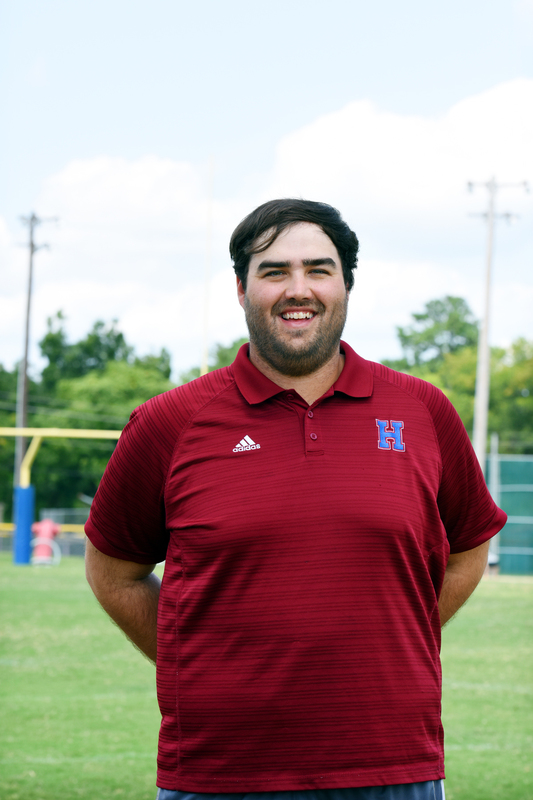 His first year at Huntsville High, Coach Fleetweed led the Panthers to the first round of the Alabama High School Association State playoffs - the first time since 2013. Additionally, nine of Coach Fleetwood's seniors class of 2018 signed to play college football. He comes to Huntsville High from Peachtree Ridge High School in Suwanee, Ga. where his teams made the play-offs five out of six years compiling a 41-27 record. Coach Fleetwood grew up in Decatur, Ga. where he attended Lakeside High School and played for the legendary Wayman Creel. Fleetwood attended the University of South Carolina from 1979-1983 and was three-year starter as a placekicker where he earned a B.S. degree in Distributive Education. He also has a Masters degree in Education Administration from Jacksonville State University. Fleetwood was a free agent selection by the Dallas Cowboys in 1984. Coach Fleetwood is entering his 32nd year in the coaching profession. His career has included coaching stints at Jacksonville State University, Troy University, University of Tennessee at Chattanooga, Habersham Central High School, The Citadel, Cartersville High School and Peachtree Ridge High School. Coach Fleetwood is married to former Kimberly Gilmore of Eufaula, Alabama and they have a daughter, Irelan, who is a graduate of Huntsville High, class of 2018. Chris Hancock has been coaching for 16 years and is beginning his 2nd year at Huntsville High School. He began his coaching career at Riverton Middle School as a football, softball, and baseball coach for three years. He spent the next 9 seasons as a defensive line coach, defensive coordinator and head football coach at Buckhorn High School and was an assistant coach for the 2005 State Runner-up Bucks football team. He spent one season as defensive coordinator at Sparkman High School before taking the Columbia High School head football coaching position where he spent three years. He is a graduate of Jacksonville State University and played for the Gamecock football program under Bill Burgess. He teaches PLTW Engineering at Huntsville High School. He is married to Susan and they have a daughter Macy. Coach Young graduated from Munford High School and earned both a Bachelor’s and Master’s Degree in Mathematics Education from Alabama A&M University. He is beginning his 18th year at HHS and is currently teaching Geometry. He is also the Head Track and Field Coach. He is married to his high school sweetheart, Alecia McNeal, from Talladega, Alabama. They have three boys; twins, Terrant and Terrell (14 yrs. old) and Tyson (10 yrs. old). 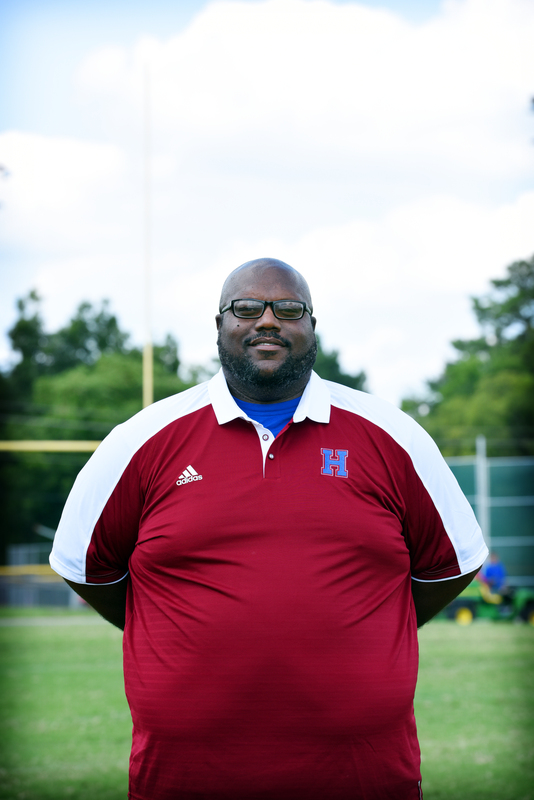 Coach Johnson enters his 4th year at Huntsville High. Coach Johnson is a 2008 Huntsville High School graduate and is very happy to be back "home". He previously coached at Columbia High School for two years where he was the offensive line coach and offensive coordinator for one of those years. He received his undergraduate degree from the University of Alabama in Secondary Education in 2013. In 2014, Tyler married his wife Amber and they have a dog named Dixie. 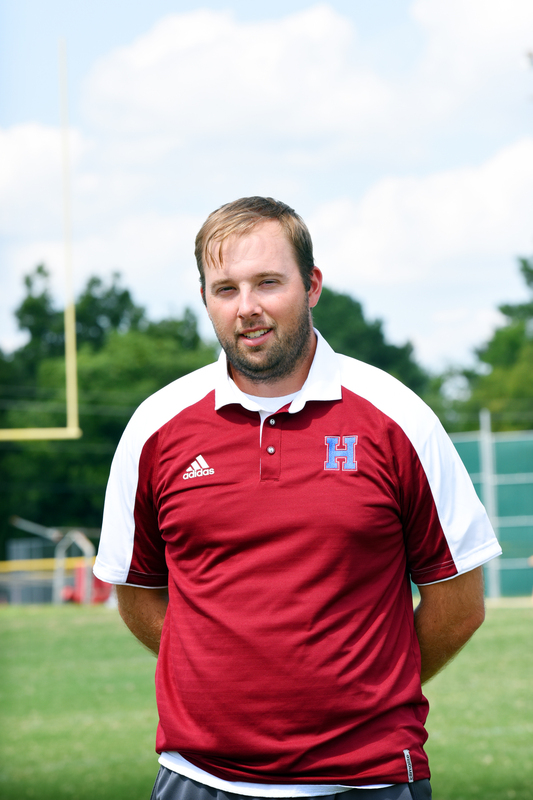 Coach Barnes enters his 3rd year teaching and coaching at Huntsville High. He previously coached at Columbia High School for two years where he coached wide receivers and defensive backs. He received his Bachelor's degree in Political Science from the University of Alabama, his teaching certificate through Athens State University and his Master's degree in Social Studies Education from the University of West Alabama. While at the University of Alabama, Coach Barnes worked in the Athletic Departmet for the football team assisting with coach's film, recruiting film and football equipment. While there, he was an integral member of three National Championship teams and two southeastern Conference Championship teams. Coach Barnes is a 2008 graduate of Huntsville High School. 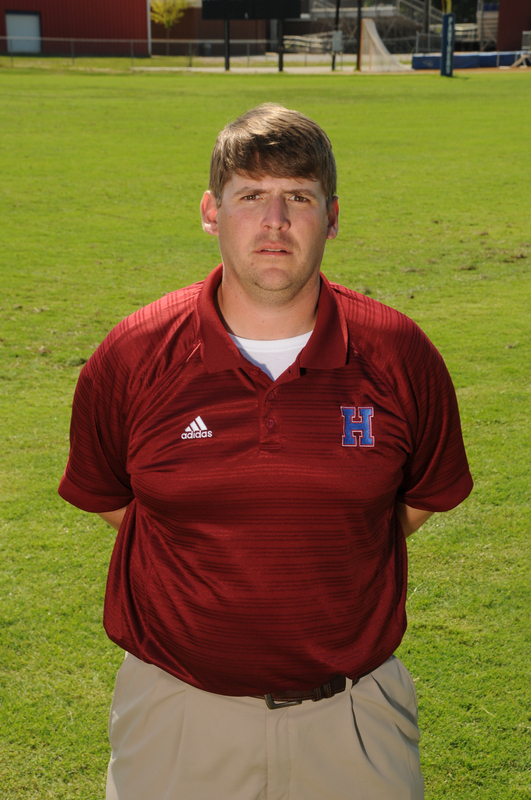 Coach Cox is entering his 2nd year at Huntsville High School teaching and coaching football. 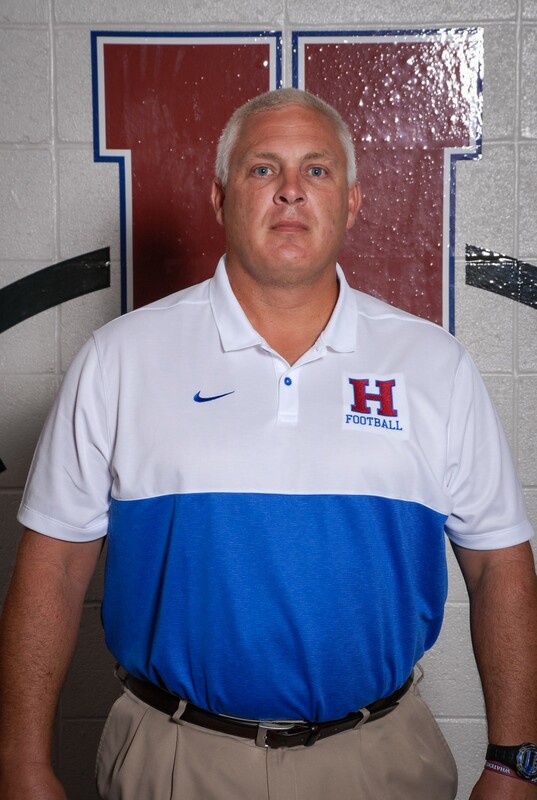 Previously, Coach Cox served as offensive coordinator and offensive line coach New Hope High School for three years. While attending the University of Alabama he served under Coach Saban as a student assistant for the football team for three years. Coach Cox is orginally from Russellville, AL where he played for three state championships, was a team captain and was voted offensive team captain by his teammates. He is also the son of Alabama High School Hall of Fame football Coach Don Cox.